Over the past 30 years, we have learned first hand about the physical and emotional devastation drunk driving accidents can cause. Throughout our history, we have actively supported Mother’s Against Drunk Driving’s mission to end drunk driving. 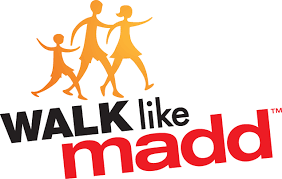 We are a proud to continue that support by sponsoring of the 2016 Central Ohio Walk-Like-MADD event to be held on October 1, 2016. Come out to support Mother’s Against Drunk Driving’s effort to end drunk driving!